We are excited to offer some hands-on fun days in August for makers of all ages. Our group will turn technology into art and inventions for learners from Preschool through 8th grade. All members may participate for free every Tuesday in August! Our kids create great things. Last year we painted with light, created Makey-Makey projects with Scratch, practiced engineering with alternative materials, and crafted art with circuits that made the pieces light up. See last year’s line up of projects. If you are considering enrollment, Walnut Grove Coop only has limited spaces left for the 2018-19 school year. Memberships begin at $50 per child. Check out the details online and email info@walnutgrovecoop.com for more information. 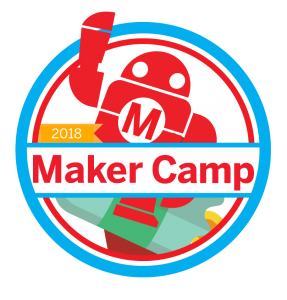 Members who enroll before August will gain access to our free Maker Club Days. Our organization will now feature a computer-lab class format for learners 10-13 years old. Students will receive technology instruction while also learning Unit Studies that feature real-life application concepts. These students will use our brand new G Suite Chrome Books to research, explore, write, design and publish. We have 2-day morning programs for preschoolers. Preschool Time is a nature-based indoor program for 2 to 4-year-olds. Our Ology Assembly was so named because of the learners get to gather and contribute their desires for subjects to study. Our facilitation team teaches the children how to identify and express what they want to know. Then we create a plan to meet learners needs with child-led resources and options to explore any -ology.